Thomas P. Detre, MD, an active supporter of the National Library of Medicine and member of its governing Board of Regents, died October 9 after a long illness. He was 86 years old. Dr. Detre was an academic leader who helped propel the University of Pittsburgh’s schools of health sciences to international prominence. Before moving to Pittsburg, Dr. Detre held clinical and academic appointments at Yale-New Haven Hospital and was psychiatrist-in-chief from 1968-1973. 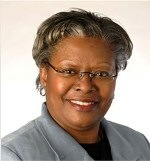 Dr. Detre was a member of the NLM Board of Regents from 2002 to 2005 and chaired that body from 2005 to 2006. He was a consultant to the Board from 2006 to present. 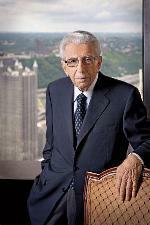 Dr. Detre was born Tamas Feldmeier on May 17, 1924, in Budapest, Hungary. He decided to become a psychiatrist when he was 14. He was a 20-year-old student when he found out that his parents and 20 other relatives had been killed at Auschwitz. The following year, he renamed himself “Detre,” a play on the French verb that means “to be,” as a symbol of his will to continue living. Elliot R. Siegel, PhD, Associate Director for Health Information Programs Development at the NLM, and Director of the Office of Health Information Programs Development, retired in September after a long and distinguished career. 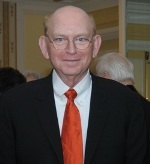 He joined the NLM in 1976 where, as senior information scientist in the Lister Hill National Center for Biomedical Communications, he co-developed early computer-based systems for physicians. In 1982, he moved to NLM;s Office of the Director, serving first as Special Assistant for Operations Research, then as Assistant Director for Planning and Evaluation. He became Associate Director in 1992, assuming overall responsibility for the Library’s planning and evaluation functions, outreach coordination and development, and international programs. While at NLM, Dr. Siegel established an evaluation research program to support numerous information and communication technology innovations, as well as a unique research program resulting in new methodologies and metrics that have been broadly applied internationally to the study of medical information system performance, and e-government Web site usage. For 25 years, he managed the Library’s long-range planning to strategically set the goals and priorities for research and service activities. That work led to the development of the National Center for Biotechnology Information (NCBI) and NLM’s outreach programs for health professionals and consumers. He launched nationwide outreach initiatives for underrepresented minority and underserved populations in the United States and other parts of the world. 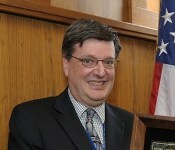 His honors include numerous NLM and NIH awards, along with election to fellowship in the American Association for the Advancement of Science, American College of Medical Informatics, National Federation of Advanced Information Services, and the International Council for Scientific and Technical Information. Dan Higgins retired after 40 years service with the federal government. 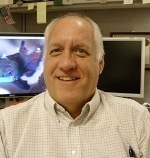 Higgins came to NLM in 1989 as an IBM mainframe programmer and security administrator. Over the years he has provided customer support, and served as a customer advocate and instructor. He says, “Customer and team members don’t get any better than those I have worked with at NLM.” Higgins is an avid scuba diver whose next assignment will be coral restoration in the Florida Keys. Dr. Alejandro Schäffer, a staff scientist at the National Center for Biotechnological Information (NCBI), has won the 2010 NLM Board of Regents Award. He was cited for exceptional achievement in applying bioinformatics research tools to the understanding and treatment of human genetic diseases. Established in 1970, the award recognizes scholarship and technical achievement. Cassandra Allen, an outreach librarian in the division of Specialized Information Services (SIS) received the Distinguished Service to the Black Caucus of the American Library Association (BCALA) Award. The award recognizes significant and continuous service to the ongoing operation, organization and growth of that organization. If you would like NLM in Focus to include someone in your area in “NLM Names in the News,” please contact publicinfo@nlm.nih.gov. October 20, 2010 in People.